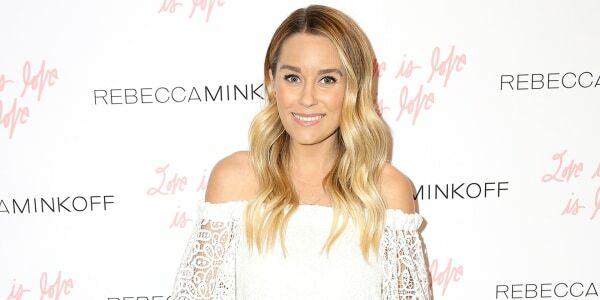 Lauren Conrad and husband William Tell have welcomed their first child! Conrad announced the happy news on Instagram Wednesday evening, writing, "He's here! We're so excited to welcome Liam James Tell into the world!" The reality star-turned-fashion designer revealed her pregnancy on Instagram back in January with a photo of herself holding a sonogram, writing, "I have a feeling 2017 is going to be the best year yet..."
In June, the 31-year-old announced the baby's gender with an adorable illustration of a little boy driving a car. "I found this adorable birth announcement while helping my grandma move and I thought it was the perfect way to share that William and I are expecting a baby boy," she wrote in the Instagram caption. Conrad and Tell tied the knot in 2014; the pair met on Valentine's Day of 2012 during a blind date set up by mutual friends. “My mom always told me that nobody loves you like a son does, especially when he’s young,” she added. The "Laguna Beach" and "The Hills" alum, known for her picture-perfect Instagram feed, has been chronicling her pregnancy with sweet snaps for the past several months. She clearly enjoyed the "babymooning" phase. Conrad shared another pretty shot to show off some pieces from her new maternity line. We can't wait until the baby photos start coming!